The expressive-sensorial dimension of materials is becoming increasingly important in the context of both theoretical and practical design. This has necessitated a corresponding and growing engagement in the field of design education as well: the topic must be included in didactic programs, and tools expressly designed with the aim of transmitting to students an awareness of the management of this important and subjective design dimension. During the educational process the future designer must acquire the skills required to select materials suitable for specific applications, which also implies the awareness that materials have both a technical profile with objective properties and a sensorial profile with subjective characteristics. 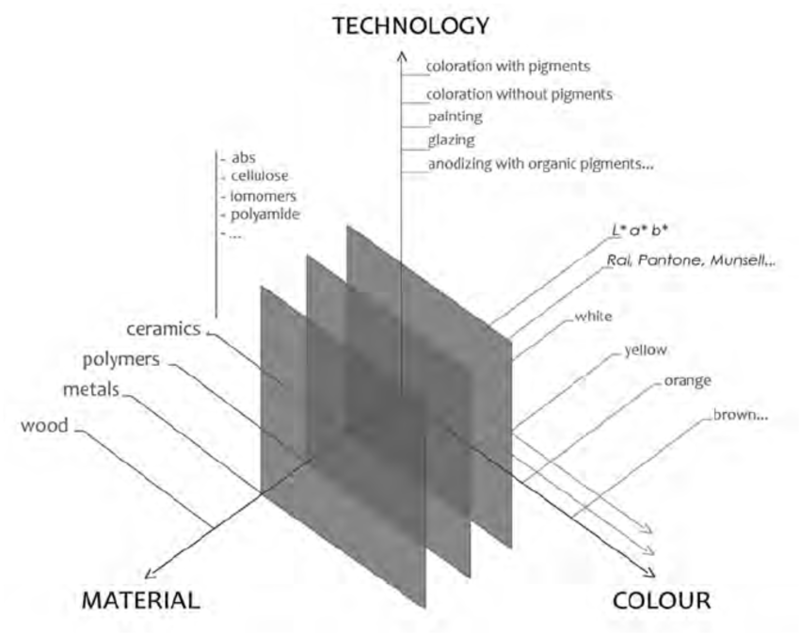 This article provides an overview of current and past theoretical research, undertaken by the Design Faculty at The Politecnico di Milano, which aims to consider the evaluation of the expressive-sensorial dimension of materials in design education. Following a contextualization of the topic, we will explain the expressive-sensorial atlas of materials: the initial tool which was used to investigate theoretical aspects of the theme in greater depth and which led to further reflections. Then, we will describe the chromatic atlas of materials, a tool designed to examine the relationship between colour, material and process and to underline the significance of this topic in design education. Finally, our most recent research in the ambit of the expressive-sensorial dimension of materials will be illustrated. The two most important studies focus on; firstly, the development of thematic atlases dedicated to specific classes of materials, beginning with textiles; and secondly, further investigation of the relationship between the sensorial and emotional qualities of materials and sustainability.